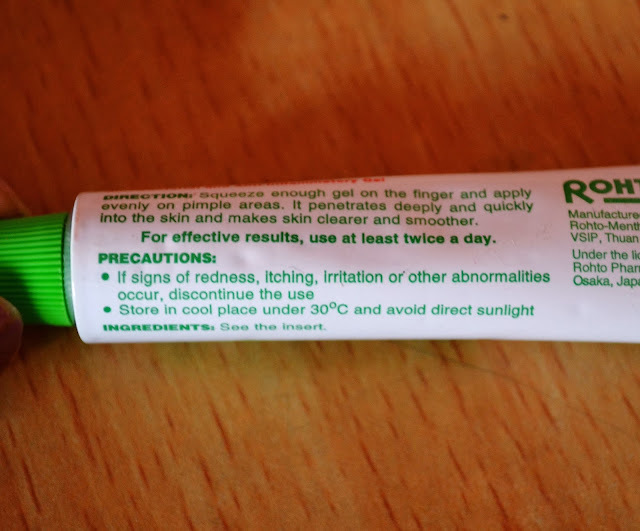 With a sudden pimples outbreak, we all feel like hiding ourselves in the room and you don’t really want to step out of your house with your face full of pimples. This is the situation we all face at some point of time in our life. In fact it is really very frustrating when you notice acne on your face. 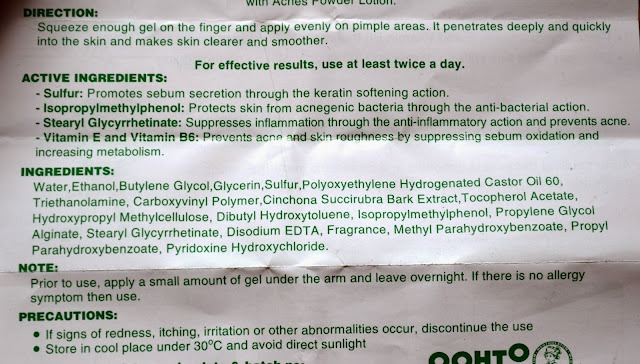 So today I am going to review Mentholatum Acnes Sealing Gel. Mentholatum is a popular skin care brand in Japan. 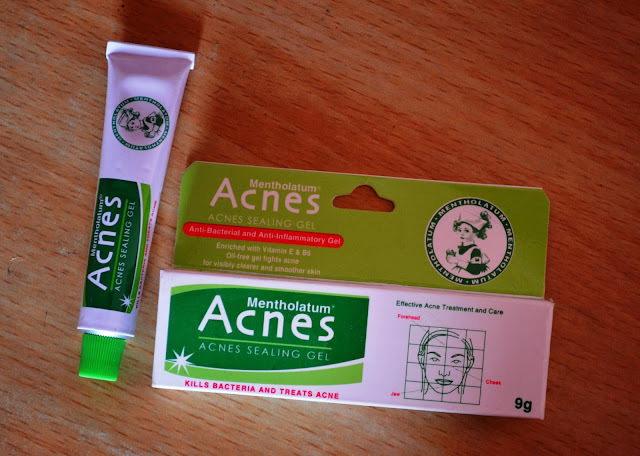 Moreover it’s the most trusted anti-acne brand among the Japanese but it is not that known and famous in India. 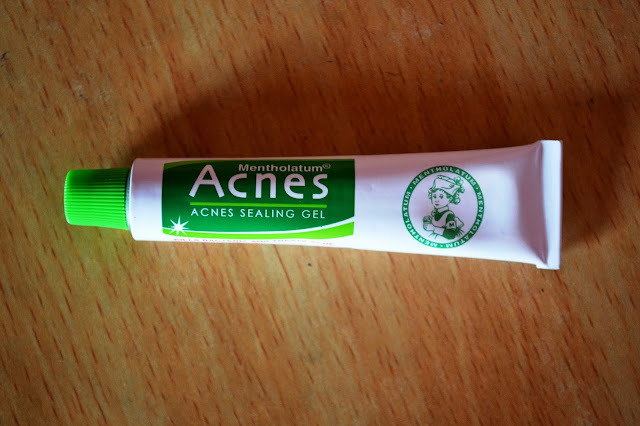 of different acne creams and I found this one the most effective among all. 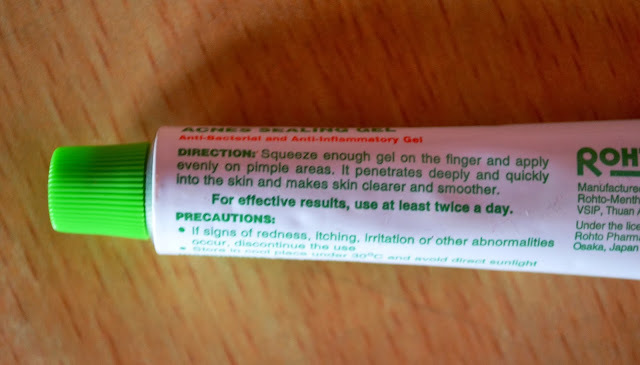 One thing which I have noticed is that this product gives a stingy feeling when applied on the affected area but this feeling remains only for a while and after that it is all fine. Moreover this feeling makes me feel the effectiveness of the product and I feel as if the product has started doing its work. It might bother you a bit. But I guess the kind of result I got I would not mind this feeling at all. This gel comes in a squeeze tube. 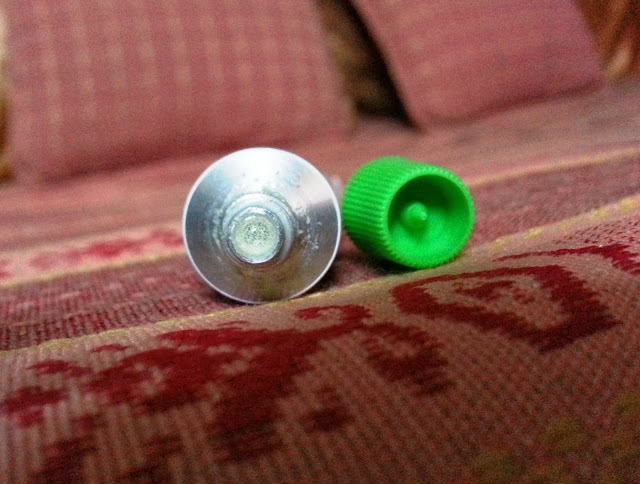 You need to puncture the hole to dispense the product. The gel is lime colored more like a clear gel with a thick consistency. However its texture is not sticky at all and after applying it does not leave any oily residue. It vanishes almost immediately after its application. It gets clear after it dries. 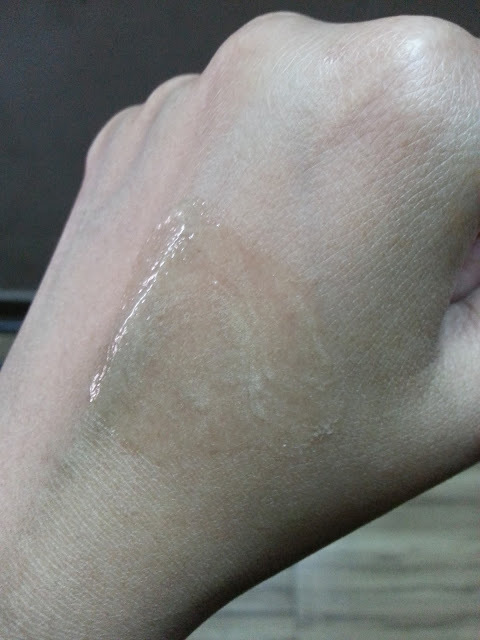 It is advisable to massage the gel on the affected area instead of just dipping the gel with the affected area. This product’s scent is neither good nor unbearable. It is somewhat between the two extremes. 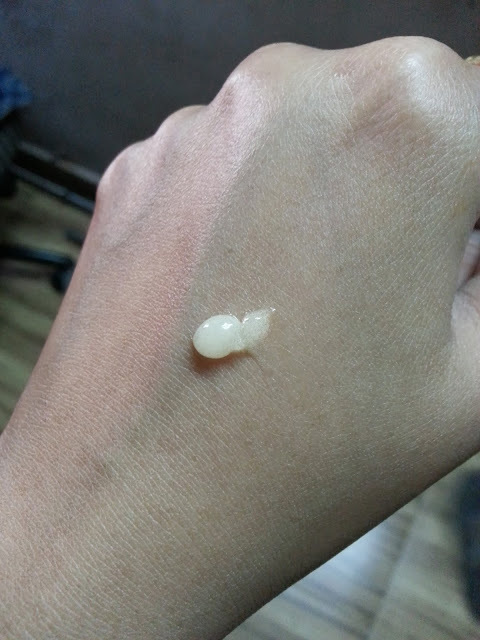 It has a regular pimple cream scent but its fruity scent somewhat hide the pimple cream smell. The gel will leave a dry patch on your skin for quite few days on the area where the acne or pimple is. This can bother you a bit while applying makeup or concealing it for few days. Very effective in soothing and getting rid of pimples and acne. Reduces pain and make acne smaller the next day. Reduces swelling in just one application. Reduces the size of blemishes and little bumps around your face. Vanishes almost immediately after its application. Leaves a dry patch on your skin which looks more obvious when you have makeup on. The product gives a stingy feeling. Definitely YES, as long as I suffer from acne and pimples. 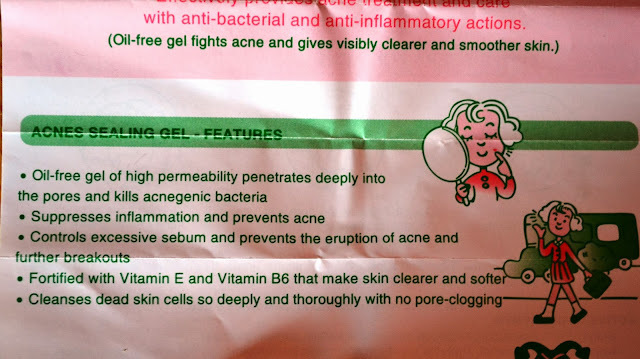 Do I recommend Mentholatum Acnes Sealing Gel?? I strongly recommend this product. This one has worked wonders for me. You just have to try this to experience the difference. 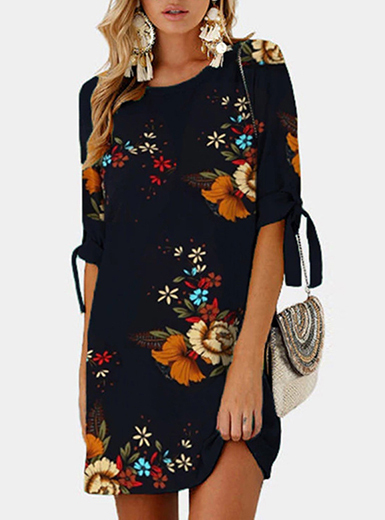 Style Guide- Dress To Look Tall And Lean! !